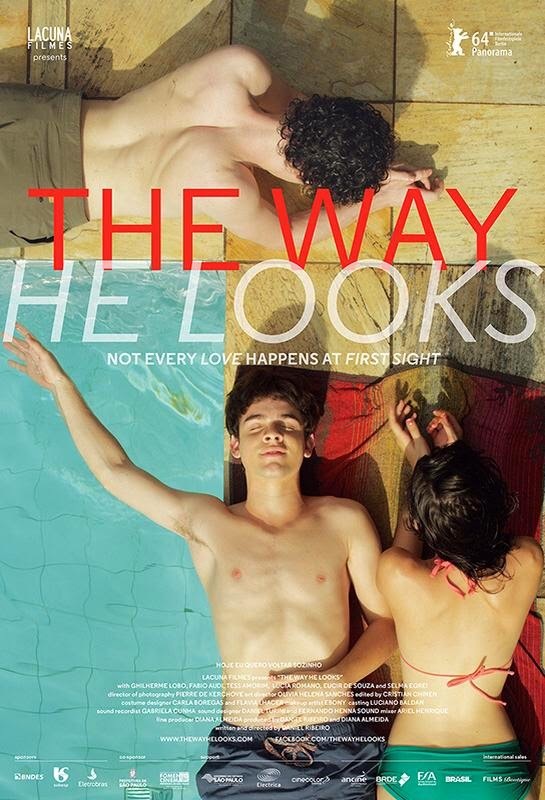 Daniel Ribeiro’s Hojé eu Quero Voltar Sozinho (The Way He Looks) has been chosen to represent Brazil in the Foreign Language Film category at the 87th Academy Award. The film, which won the Teddy Award and FIPRESCI prize at the 2014 Berlin Film Festival, tackles LGBT issues. Set against the music of Belle and Sebastian, Ribeiro’s coming of age tale is a fun and tender story about friendship and the complications of young love. Leo is a blind teenager who is fed up with his overprotective mother and the bullies at school. Looking to assert his independence, he decides to study abroad to the dismay of his best friend, Giovana. When Gabriel, the new kid in town, teams with Leo on a school project, new feelings blossom in him that make him reconsider his plans. Meanwhile, Giovana, grows jealous of this new found companionship as tensions mount between her and Leo. This entry was posted in Brazil News and tagged Brazil by Critical Divide. Bookmark the permalink.